Do you need cash fast but don’t have stellar credit? Loans exist for a reason. They offer individuals of all backgrounds the means to acquire the cash they need to manage life’s ups and downs. Whether you need help financing your daughter’s college education, or you need something to help you through until the next payday, loans can be a great financial resource. But taking out any loan involves your credit score. In general, the better your credit score, the better terms you’ll be able to snag for a loan. Credit scores can plummet for a variety of reasons, but they don’t have to limit your ability to get a loan. In this post we’ll talk about everything you need to know about no credit loans so that you can have the peace of mind you crave! Before we discuss the ins and outs of no credit loans, let’s chat credit for a minute. Your FICO credit score is a number assigned to you by a credit bureau. Your score generally falls within the range of 300 and 850. 850 is the highest credit score you can achieve, while 300 is the lowest. You can start “building” credit by actively using credit cards, taking out loans of any kind, and responsibly pay off debt. A good credit score can help you take out mortgages down the road and even get affordable auto insurance. You need to have substantial credit in order to continue to borrow money in the future, whether you’re paying for a house or a college education. Unfortunately, it’s easy to achieve a lower credit score through a variety of factors. If you miss a payment on an account, you could lose credit points, for example. You can also compromise your credit if your debt is relatively high compared to any credit limits or income you have. You can even lose a few credit points for getting a hard credit check. Lastly, if you’re just starting out in the world of credit, you may have no credit to speak of! This is particularly true of young adults and students. You’re considered to have low credit if you have a credit score of 300-550. If you have low credit, you may feel that there are no options out there for obtaining the financial assistance you need. This is especially the case if you face interest on credit card balances or overdue medical bills. However, if you have low credit, you still may qualify for no credit loans. What Are No Credit Loans? No credit loans give individuals with poor or little credit the chance to get the funds they need in a short amount of time. They often involve a streamlined application process and a “soft” credit check–a check that doesn’t impact your credit score. In some cases, you may not even have to have a credit check. There are a variety of no credit loans out there, and the kind you choose will depend on your situation. For example, if you need cash fast but are on the lower end of the credit scale, you may want to seek out bad credit loans. Bad credit loans are designed specifically for individuals with bad credit. You can obtain one frequently through an online lender, and applications are often quick, painless, and easy. However, bad credit loans may have much higher interest rates and fees than other loans. This is an essential thing to keep in mind. Other options include payday loans, loans designed to get you to the next payday, and loans that use your property as collateral. Still, others include basic personal loans designed for people with poorer credit. Whether you are just starting out or are recovering from bad credit, securing a loan can be a challenge. Learn how with our helpful guide to no credit loans. 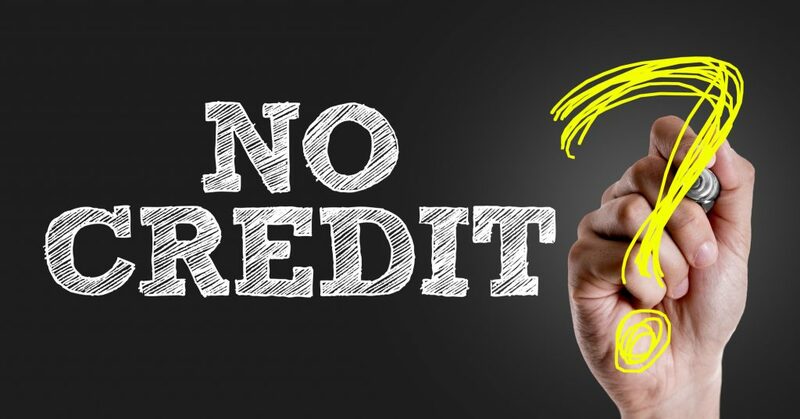 If you’re in need of financial assistance but are skeptical about getting a loan with your credit score, you can apply for a no credit loan today. Let’s talk about how. Before you apply for a no credit loan, inspect your credit report. You can obtain a free copy through a credit bureau. Scan your report for any errors and file a dispute if you encounter one. Even a small error can mean a huge point difference. Understand the factors that may be contributing to a low credit score so that you can plan to tackle them in the future. If you can, gather any documentation you have that can explain your bad credit situation to lenders. It’s possible to obtain no credit loans online these days. Start by browsing online lenders who provide loans to individuals with lower credit. As you’re researching, make sure you identify fees and interest rates for all loan options. Be wary of the fact that most no credit loans have higher interest rates than better credit loans. If you can, always speak with a representative when researching lenders. Share your experience as much as possible so that they can come up with the best financial solution for you. Don’t be shy about consulting brick-and-mortar institutions, either. Some credit unions offer better rates to members, and may even be able to pardon lower credit. If you’ve identified a lender that works for you, consider bringing a co-signer on board before you sign any contracts. This is an ideal solution for young adults or students looking to build credit and acquire loans. A co-signer is ideally someone with solid credit who can boost your qualification for getting a loan. In many cases, a co-signer is a parent, partner, or family member. Before you apply for any no credit loan, make sure you know the full extent of the loan’s terms. Know, for example, how long you have to pay off the principal balance. No or low credit loans may have shorter terms. Make sure you also know the interest rate, monthly payments, and any other information about fees. If your first application isn’t approved, talk to a representative to learn why. The best company will give you clear information about what you need to make a solid application. At the end of the day, it is possible to get the financial help you need by relying on no credit loans. Make sure you do your research well, familiarize yourself with your credit score, and know all loan terms. Lastly, if the notion of low credit loans seems intimidating, spend some time deciding if it’s the right choice for you. At Quickle, we are here to help you identify the financial solutions you need. Reach out to us today to learn more about the loan types we offer everyone!